With the amount of outbreaks at medical facilities increasing in recent years such as Ebola, society needs to ask themselves is there a flaw in our current system? When facts were observed medical experts concluded that medical facilities are at a higher risk of exposure to infectious disease than any other workplace environments. Research has shown an increasing rate in the shortage of medical staff, even leading some experts calling it a “Global crisis.” – The Internet Journal of World Health and Societal Politics. Medical staffs, in general, tend to work excruciating hours that have them feeling exhausted, now add in the shortage of medical staff that increases not only their hours but the workload of the existing medical staff. Nearly any person who is overworked becomes more stressed leading them to be rundown, when an individual becomes rundown they statistically have a weakened immune system, thus putting them at more risk for pathogens, infections, illnesses, and even diseases. What are the other dangers of having an overworked staff? What if there are patients? “Up to 98,000 patients die each year in the hospital as a result of preventable medical errors,” – Henry Michtalik, MD, of Johns Hopkins University, and colleagues. “Excessive workloads caused nearly a quarter of hospitality’s surveyed to say they’d ordered potentially unnecessary tests, procedures, or consultations due to inadequate time with a patient, while similar numbers said overwork “likely contributed” to patient transfers, morbidity, or mortality,” – ResearchJAMA. What can be done to help prevent overworked, rundown medical staff and facilities? 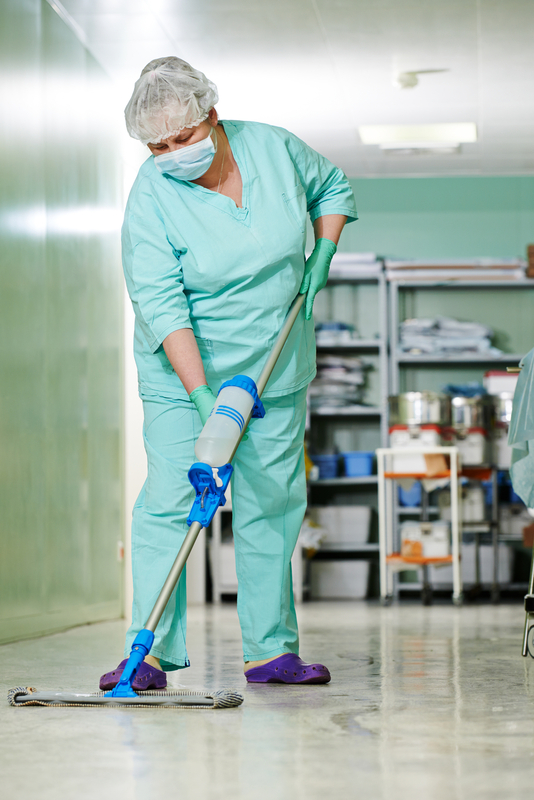 Outsource the medical cleaning to a reputable company like Greenville SC’s Summit Janitorial. 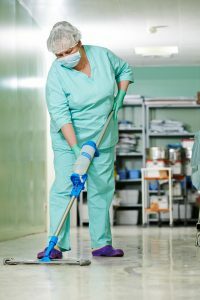 By outsourcing, you allow the medical professionals to stay focused on the areas they should be, not wasting their valuable time in areas better suited for janitorial professionals such as the qualified techs at Greenville SC.